Jair Bolsonaro took office on 1 January. Since then, he has made appointments to his government, and there have been statements by people in his administration, that are causing grave concern among environmentalists. New Environment Minister Ricardo Salles has come out strongly for an end to the demarcation of indigenous lands, and in support of entrepreneurs and companies being allowed to self-regulate the environmental licensing process for major infrastructure and development projects. Salles also wants to hire a satellite firm to monitor Brazil’s forest fires, drought and deforestation. Brazil’s National Space Research Institute (INPE), a governmental agency, released a response explaining that it is already doing this work. While Salles plan isn’t clear, it could be a means of privatizing deforestation monitoring. Franklimberg Ribeiro de Freitas has been chosen to head Funai, Brazil’s indigenous affairs agency. However, some fear a major conflict of interest. Freitas was most recently a consulting advisor for indigenous, community, and environmental affairs with the Belo Sun mining company, where he sided against indigenous land rights. 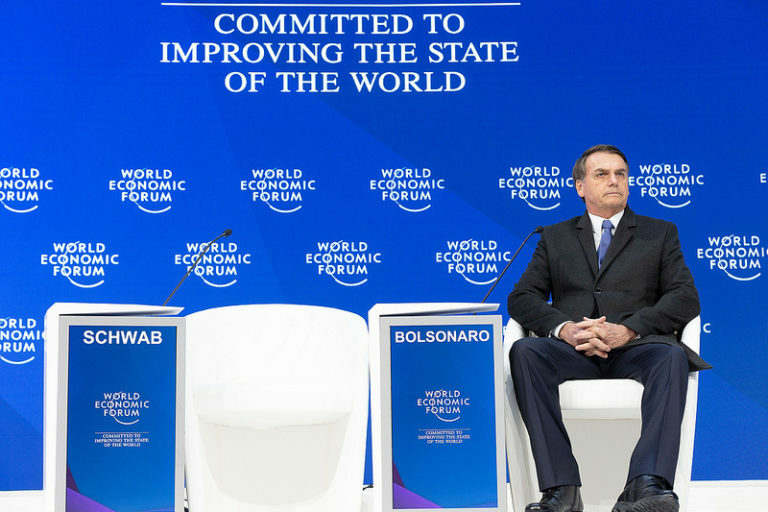 In the days before traveling to Davos in January, President Jair Bolsonaro and his administration signaled so many worrying changes to Brazil’s environmental policy, that the announcements competed for space in the press. It was as if the new president wanted to clean house before leaving for his first official international trip to the World Economic Forum in Switzerland. However, the speech by this self-affirmed anti-globalist president at Davos, an annual celebration of globalization, proved to be mostly superficial and lacking in detail, according to analysts. It has been otherwise with the administration’s other public statements. 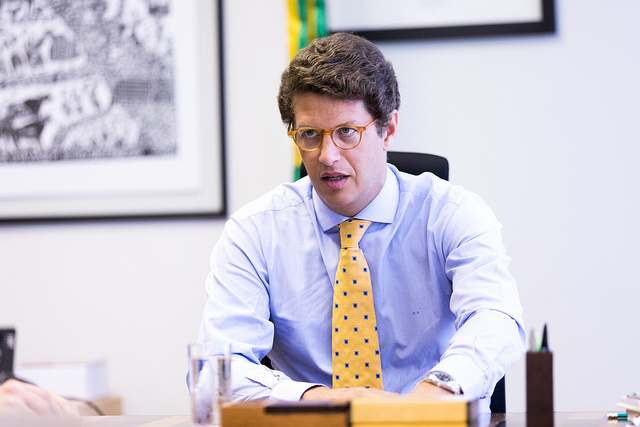 Environment Minister Ricardo Salles, for example, speaking last month at a real estate and construction developers’ event in São Paulo, defended the administration’s plan for self-regulated environmental licensing, which would give companies a major role in policing themselves. Within days of Salles announcement of the plan to ease licensing restrictions, a Vale Mining tailings dam burst in Minas Gerais state. To date, more than 120 are known dead, while more than 200 remain missing. It was the second such disaster in just over three years. Such events would seem to demand more regulation, not less, say critics. Speaking at an event centered around indigenous constitutional rights, Salles also said that the large size of the nation’s indigenous reserves, most of which are in the Amazon, has undermined their proper supervision. He criticized “excessive demarcations,” the official boundary marking of ancestral territories required under the 1988 constitution, a process that is decades behind schedule. Meanwhile, national and international NGOs have been made more insecure by attacks made upon them by the administration. What follows is a summary of environmental news from Brazil over the last three weeks. 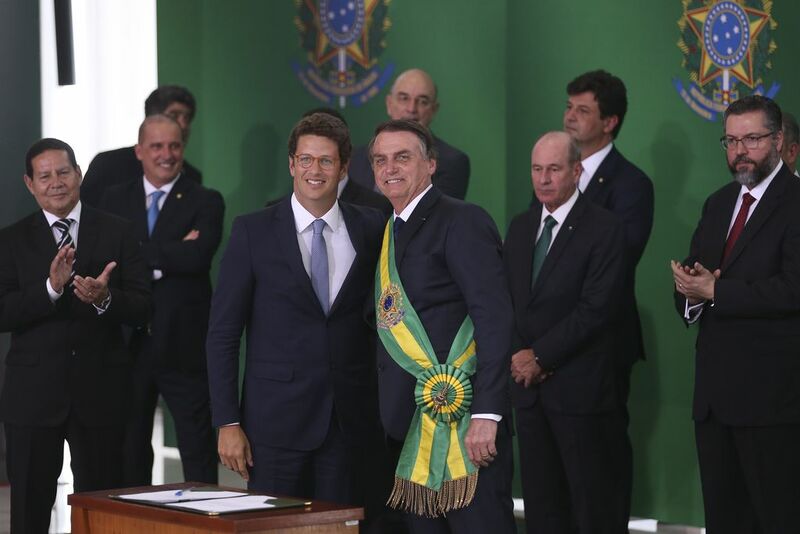 Ricardo Salles becomes Minister of the Environment under president Bolsonaro during a ceremony at the Planalto Palace, Brasília. Image by Valter Campanato/Agência Brasil. On Monday, 14 January, the Ministry of the Environment (MMA) sent a circular to the nation’s environmental agencies and institutes. The letter, Nº 5-MMA, announced “the lifting and suspension for 90 days of all agreements and partnerships with non-governmental bodies (NGOs) which are recipients of funds managed by the MMA, Ibama (the nation’s environmental agency), ICMBio (its national park management agency), and JBRJ (the Rio de Janeiro Botanical Garden Research Institute). The measure suspends any transfer of funding resources to civil society organizations, including environmental NGOs, cooperatives and rural unions. According to the MMA, the goal is to evaluate NGO contracts and disbursements. NGOs perceived the measure as a means by which the administration was threatening their operations and funding. Contacted by Mongabay, environmental NGO Greenpeace responded with this statement: “Greenpeace is an independent civil organization that does not receive financial resources from governments, companies or political parties. However, the measure adopted by minister Salles could be detrimental to technical cooperation agreements between organizations and the public power. The announced measure affects the public power itself, [because the government] often cannot carry out actions of inspection and of defense of natural heritage alone,” but requires technical assistance from qualified NGOs. For instance, a 2018 investigation by Greenpeace, conducted in cooperation with Ibama, revealed widespread fraud involving forest management plans in Pará state; it was found that 77 percent of rare Ipê wood inventories issued by the Environment State Secretary contained irregularities. This inquiry, which benefited the environment and the Brazilian public, could not have been conducted without a government / NGO partnership. Ricardo Salles, Minister of the Environment, January 2, 2019. Image by Gilberto Soares/MMA. Salles intends to establish an MMA system of self-declaration, by which an entrepreneur or company interested in launching a real estate construction / development project would first declare compliance with environmental laws, then subject itself to a subsequent inspection. Waving aside the latest Vale industrial disaster, the head of Bolsonaro’s national security office, Augusto Heleno, told The Guardian newspaper that the licensing fast-track approval process would go ahead anyway: “Making the process more flexible means having very strict rules, but allowing certain works that depend on licensing to happen. It does not mean loosening environmental licensing. On the contrary, licensing has to be done well, but it cannot be delayed without fair grounds,” he said. Some critics are calling for Minister Salles to resign due to his current and past policies, which are perceived as anti-environmental. While Salles was the São Paulo state Environmental Secretary he was accused in 2016 by the State Public Ministry (independent federal litigators), of defrauding the Management Plan of the Tietê River Basin Environmental Protection Area in order to benefit business interests; he was recently found guilty of that charge, which prompted calls for his removal as Bolsonaro’s environment minister. 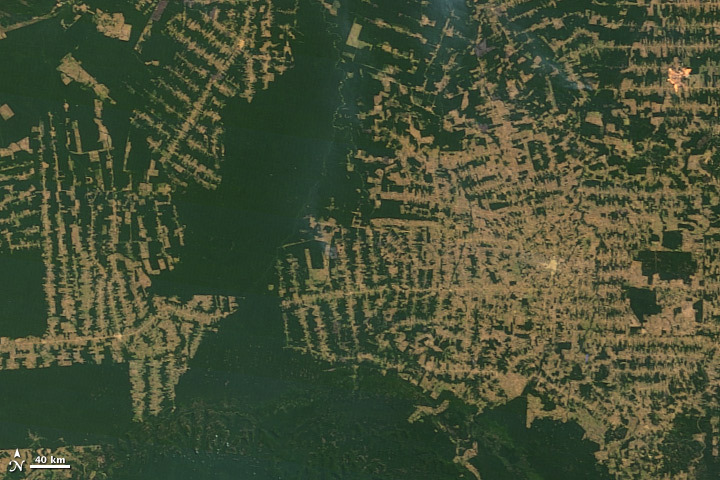 Amazon deforestation. Image courtesy of NASA. The Environment Minister made another surprise announcement, saying he wanted Brazil to hire a special satellite firm to monitor forest fires, drought and deforestation in real time. “So an Ibama [environmental agency] officer will go where the system tells him to do so, not where he wants to go,” said Salles. The satellite contract would cost R$ 100 million (US$ 26 million) annually and would be paid for out of the “Amazon Fund, which has R$ 1.2 billion (US$ 324 million).” The Amazon Fund is largely financed by Norway in a cooperative deforestation agreement with Brazil. Shortly thereafter, Brazil’s National Space Research Institute (INPE) released a notice explaining that the government agency is already doing this work via three complementary monitoring systems developed and operated by the institute — Prodes, Deter and TerraClass. “INPE constantly monitors the quality of these products, and latest results indicate a level of accuracy of more than 95 percent for PRODES data. In addition to this control, the data transparency policy, adopted by INPE since 2004, allows full access to all data generated by the monitoring systems, enabling independent evaluations by the community users, including government in its various levels, academia and society as a whole,” said the statement. Since 2004, INPE’s monitoring program has been co-responsible for a 60 percent reduction in the Amazon annual deforestation rate. Since 2012, it has recorded a rise in deforestation rates which reached their highest levels in years during the period of the Bolsonaro compaign, possibly as ruralists were emboldened to clear forest because of an assumption they wouldn’t be punished by the new government. Earlier, during the Temer administration, there was a similar attempt to move deforestation monitoring away from INPE, to a private sector provider, a gambit which environmentalists believed might result in the underreporting of actual deforestation. Retired general Franklimberg Ribeiro de Freitas, the new president of Funai. Image courtesy of Funai. Freitas had been fired from Funai due to pressure from the bancada ruralista, the agribusiness lobby in Congress, which complained that he did not collaborate with the agricultural sector around the process of demarcating indigenous lands. That function no longer belongs to Funai, as it was moved in January by the Bolsonaro administration to the Secretariat of Land Affairs, attached to the Ministry of Agriculture. That move was strongly protested by indigenous groups who fear agribusiness will block all future demarcation. 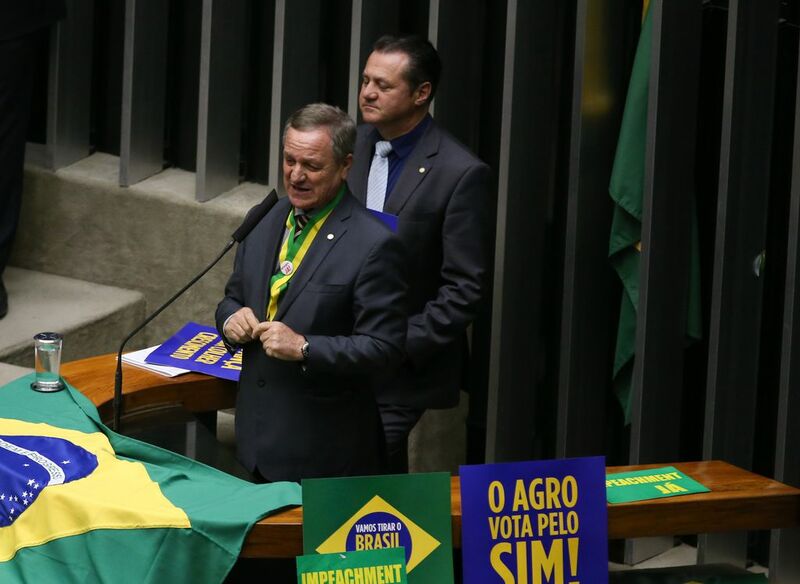 When he left Funai in 2018, Freitas had to comply with a six-month hiatus before accepting any position related to Funai activities, as required by Brazil’s conflict of interest law. Three months later, however, he was appointed consulting advisor for indigenous, community, and environmental affairs with the Belo Sun mining company, a position he held through the second half of 2018. The Canadian firm has been trying for seven years to obtain an environmental license for its proposed Belo Sun gold mine, which if approved would become the biggest in Brazil, located on the banks of the Xingu River in Pará state near the Belo Monte mega-dam, and less than 10 kilometers (6.2 miles) away from the Paquiçamba Indigenous Reserve. 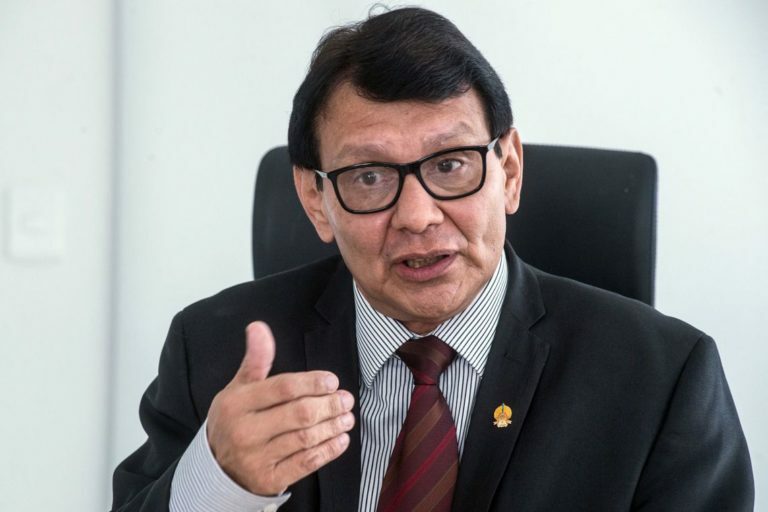 An inquiry was launched by the Public Ethics Commission of the Presidency of the Republic, as to whether or not Freitas should step down from his Belo Sun job. But in the meantime, he was again named Funai’s president. The Public Ethics Commission’s communications office told Mongabay that Freitas will submit new information requested by its board in coming days. If he is found guilty of violating conflict of interest rules, he could receive an “ethical conviction” which serves as a stain on his public service record. While Funai has opposed the Belo Sun gold mine in the past, Freitas says he favors licensing it. “[T]he project is viable and beneficial to indigenous people. Regardless, everything will follow the law. There is no conflict of interest. Everything is analyzed in a complete exempted manner,” said Freitas. Contacted by Mongabay, ISA, the Socioenvironmental Institute, an NGO, declined comment on the new Funai president. The Catholic Church’s Indigenous Missionary Council (CIMI) has not responded to Mongabay’s request for comment. New president of ICMBio Adalberto Eberhard (speaking into microphone) with Environment Minister Ricardo Salles. Image courtesy of MMA. 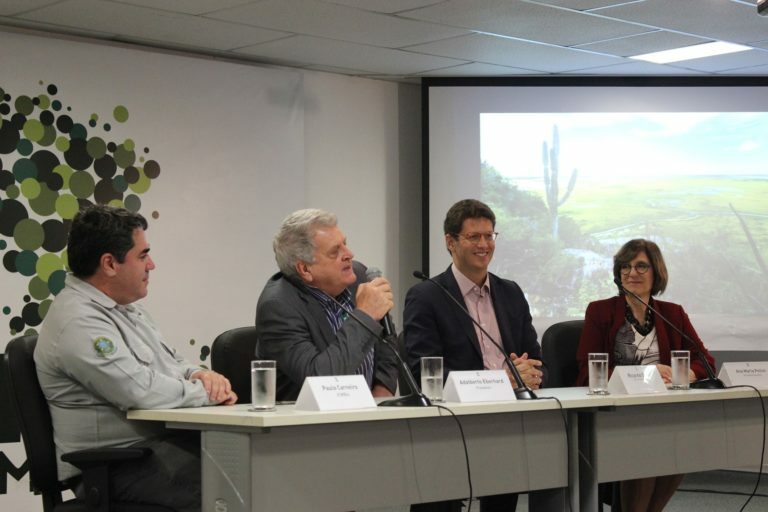 Adalberto Eberhard, the newly appointed head of the Chico Mendes Institute for Biodiversity Conservation (ICMBio), made it clear in a speech that some of Brazil’s conservation units (UCs) will be given priority over others due to a lack of technical staff and sufficient budget to manage the nation’s 335 UCs. Considering current budgetary restrictions, this decision doesn’t totally clash with the priorities of the National Association of the Environmental Specialist Career Servers (Ascema), an NGO, according to Rogério Egewarth, one of its directors. “Our biggest concern is actually how the agribusiness agenda would interfere with environmental policies, causing socio-environmental setbacks,” he said. Egewarth is more worried about a confidential letter leaked to the press on Wednesday, 23 January, signed by House Deputy and ruralist Alceu Moreira, president of the Parliamentary Front of Agriculture and Livestock (FPA). Moreira requested a private audience with the environment minister to discuss a vote on environmental licensing bill 3.729/2004; to review the creation of biosphere reserves in all biomes; and to propose changes in law 9.985/2000 and decree 4.340/2002, “to ensure a land owner [having property claims] within a UC [conservation unit] is compensated within a maximum deadline of five years.” At present, there is no legal time limit on these public/private land disputes. Egewarth and environmentalists are alarmed by this proposal for secret talks that could undermine Brazil’s environmental laws. Former House Deputy Valdir Colato, the new director of the Brazilian Forest Service under the Bolsonaro government. Image by Valter Campanato/Agência Brasil. Valdir Colatto has been chosen the new director of the Brazilian Forest Service (SFB) by Agriculture Minister Teresa Cristina. The SFB manages the Rural Environmental Registry (CAR), an essential tool for overseeing rural private property management in order to prevent and limit deforestation. While in Congress, the former federal House actively pursued an investigation of Funai and the National Institute of Colonization and Agrarian Reform (Incra) in an attempt to criminalize indigenous people and anthropologists, say critics. Colatto is especially critical of the high percentage of land that must be preserved as native vegetation by rural land owners (85 percent in Legal Amazonia), as specified by Brazil’s Forest Code. He also argues that states should establish their own legal reserve percentages. Some within Bolsonaro’s transition team have argued that the 2012 Forest Code, revamped and weakened under the Temer administration, needs to be reassessed or abolished. Contacted by Mongabay, the Brazilian Coalition on Climate, Forests, and Agriculture, a collective of NGOs, companies and academic institutions, declined to comment on the new designation for the SBF. 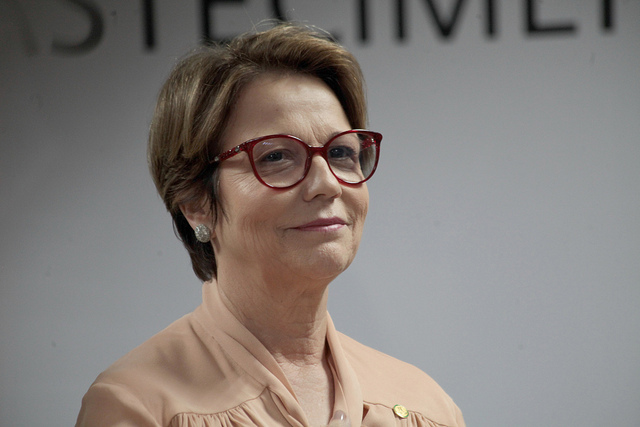 Minister of Agriculture Tereza Cristina. Image by Antonio Araujo/MAPA. She also called for the “improvement” of rural insurance “so the farmer can produce with no worries despite all climate extremes he’s been suffering today.” And she asked for “rigorous self-regulation” by agribusiness, an indication of her opposition to intensified government environmental oversight. That’s not surprising, considering she has long led a fight to cut red-tape regarding the approval of new pesticides for use in Brazil. Cristina then went on the attack: “It is absurd what they [people like Bündchen] do today with Brazil’s image. Unfortunately, they are bad Brazilians. For some reason they go abroad to spread an image of Brazil and of the productive [agribusiness] sector that is not true. [In] no other country [do] people have to preserve 20, 50 or 80 percent of their biomes, as we need to do [in Brazil], and we do not receive a penny for that. It is as if, in the urban areas, you would tell an apartment owner: ‘You cannot use two of your three bedrooms.’” It is true that Brazil has some of the toughest laws regarding forest protection on private lands. Gisele Bündchen. Photo credit: Celso Tavares on VisualHunt.com / CC BY-NC-SA. In 2017, Bündchen was a leading voice in an intense public outcry that defeated Temer administration plans to abolish the National Copper and Associated Reserve (Renca), a gigantic protected area in the Amazon covering 4.6 million hectares (17,800 square miles). Temer had wanted to open it to Canadian and other transnational mining interests. “Shame! They are auctioning our Amazon! We cannot destroy protected areas for private interests,” Bündchen tweeted at the time. Cristina, by contrast, then a member of Congress, had earned the nickname “muse of poison” for her staunch support of pesticide deregulation. In the beginning of January, the Bolsonaro administration authorized 40 new pesticides for sale in Brazil. Among them is the highly toxic and controversial Sulfoxaflor, made by Dow AgroSciences, and reported as causing mass bee deaths in the United States, where it is now banned. The insecticide was approved in the last days of the Temer government. In the first two weeks of the year, another 12 products were registered for commercial use, according to the Public Agency and Reporter Brazil. 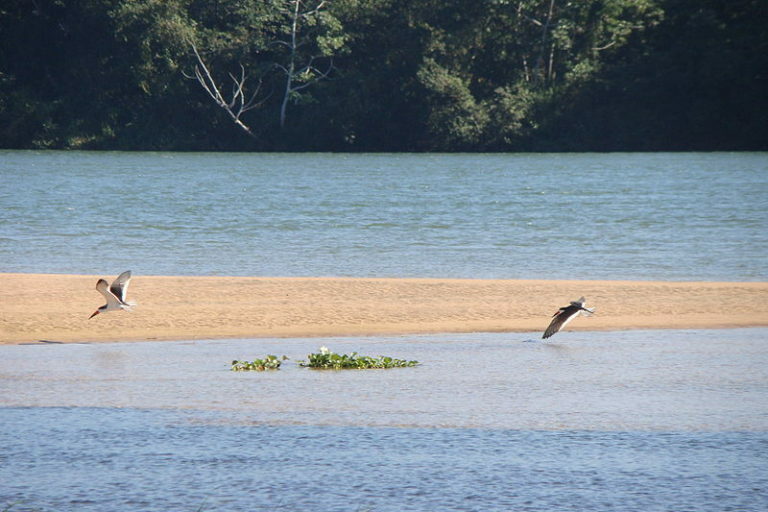 Birds on the wing in Ilha Grande National Park. Courtesy of Bioickx. Last month, ICMBio’s support unit at Ilha Grande National Park on Paracaí beach, in Paraná state, suffered its second violent attack in less than three months. This time the building had doors, windows, furniture and equipment destroyed. The police suspect the assaults were in retaliation for ICMBio’s inspections, especially those aimed at the demolition of beach houses built illegally in the park for the purpose of illicit hunting, fishing and other activities. Analysts say that President Bolsonaro’s strong remarks asserting that the government will perform no new indigenous land demarcations may have sparked renewed threats of indigenous reserve invasions. In Maranhão state, the territories of the Awá Guajá, and the Caru Land of the Guajajara, are increasingly at risk, according to journalist Miriam Leitão, of O Globo. Tribal leader Antonio Guajajara said that grileiros, land grabbers, have organized meetings to plan new intrusions; their goal is to exploit lands from which they were expelled when the reserves were demarcated and ratified in 2014. Also worrisome is the Bolsonaro presidential decree that makes it easier for Brazilians to own guns, which went immediately into effect. The document extends gun registration validity from three to five years, and removes the need for Federal Police authorization of gun possession. Critics say the measure is likely to increase rural violence in the Amazon, rather than curb it. A recent poll revealed that Bolsonaro’s indigenous position conflicts with the majority view of the nation’s population. Six out of ten Brazilians disapprove of a reduction in indigenous lands, according to a poll conducted by a research institute of the Folha group in 130 cities. The biggest opposition comes from women, with 62 percent opposed, compared to 57 percent of men. The older and less educated of those surveyed held the bigger chance that they agreed with Bolsonaro and favored the reduction of indigenous reserves.